We're a Fiance photography team that are relentlessly ourselves. Laid back - down to earth - usually laughing. 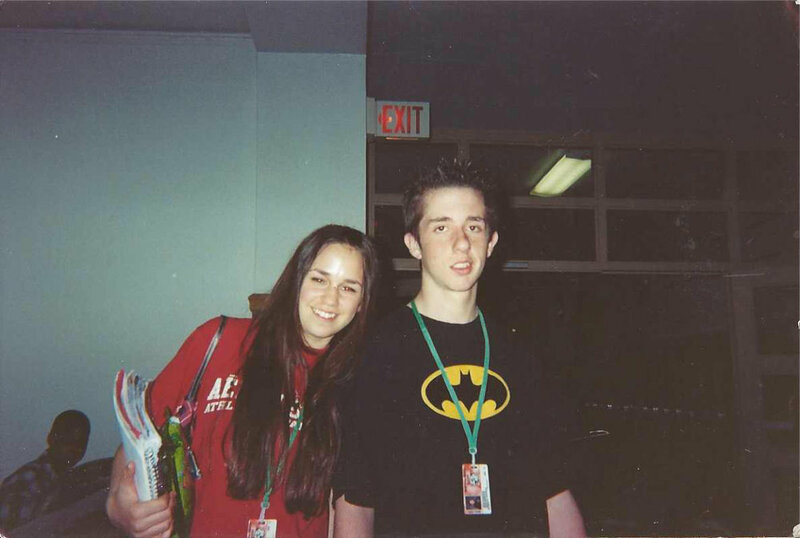 We have been lucky enough to have known each other since middle school 2002 (scroll down below for your reward of us in middle school pre braces, hair jel and all!) We know all about love stories, or break up stories really since we used to date in high school until I broke up with Josh (a few times, no ones counting) After five years of Josh not speaking to me (he's really good at holding a grudge), he finally gave in and sent me a txt message (thank goodness for modern technology we would have been waiting forever for a hand written letter...) and we have been basically inseparable ever since! Lets just say, everything happens for a reason, and after a home and dog later - everything always works out the way it is meant to! Most days you will find us in sweat pants on the couch binge watching The Office (our favorite show) with our rescue pit bull - Titan Maximus! We are romantics at heart, and have grandiose plans of spending our lives celebrating love and traveling. We believe that the key to a happy life is eating burgers, and taking afternoon naps with Titan. We believe that life is too short not to love every second of it.